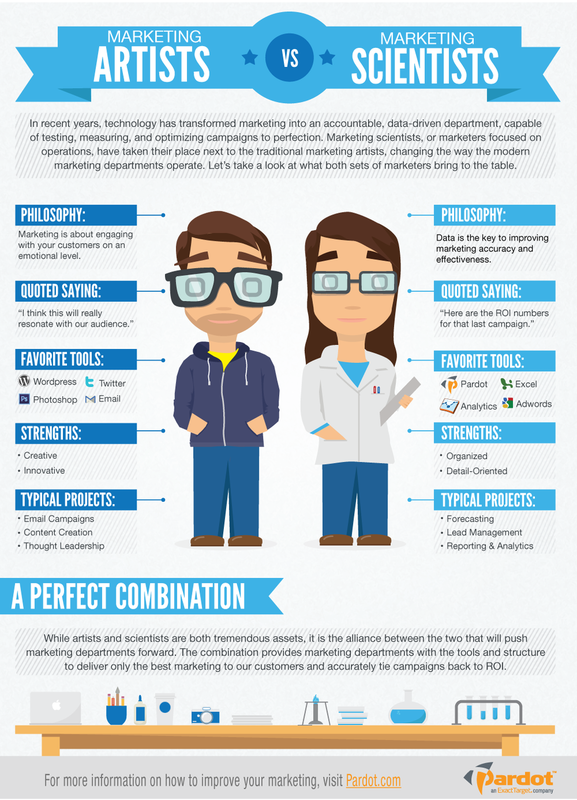 The “Artist vs. Scientist” comparison seems correct to me. I always felt it was more aristic. But as I go through my classes it is definitely leaning toward the scientific side. I believe that we need to find a common language. Good reply. I think it’s definitely a mix of both. Marketers cannot ignore the scientific, yet they cannot lose sight of the artistic/creative side either.